Of course, the biggest hidden danger of smoke and soot is the fact that they contain toxic particles. These include substances such as sulfur dioxide, carbon monoxide, methane, formaldehyde, traces of heavy metals, and more. This is also why they should be cleaned up as soon as possible—prolonged exposure to these particles can cause respiratory ailments and other health problems. This is the first effect that one will notice once entering a building that has suffered from a fire. While an area may not be touched by fire, the smell of smoke clings to the building, and can be very hard to remove. And this odor can be very irritating. This odor can be removed by using various household substances. These range from wiping furniture down with white vinegar to leaving out a bowl of powdered activated charcoal to absorb the smell. However, there are some cases wherein the affected objects need be disposed of, as the odor cannot be removed. Even if a fire has not burned a gadget, that doesn’t mean it’s completely safe to use. Smoke and soot can also cause substantial damage to electronics, and this damage usually remains hidden as it affects the internal workings of the device. For starters, smoke contains metallic particles; this can cause devices to short-circuit when operated. Meanwhile, since soot is acidic, it can corrode metal components. Hence, there’s a need to have all electronic devices checked and cleaned after a fire, even if they didn’t get burned. As stated earlier, soot is acidic. This is why it should be cleaned up as soon as possible—leaving soot on a painted surface can cause discoloration. In the long run, the coating will soften and fail. The same can be said of smoke, which is also corrosive. Hence, during a cleanup, it’s important to wear a pair of nitrile gloves. This is to prevent natural oils from reacting with the acidic remnants of the fire, causing further damage. To ensure that property is properly handled, cleaned up, and restored after a fire, it’s important to request the help of professionals. For residents of Colorado, KW Restoration is the company to contact. 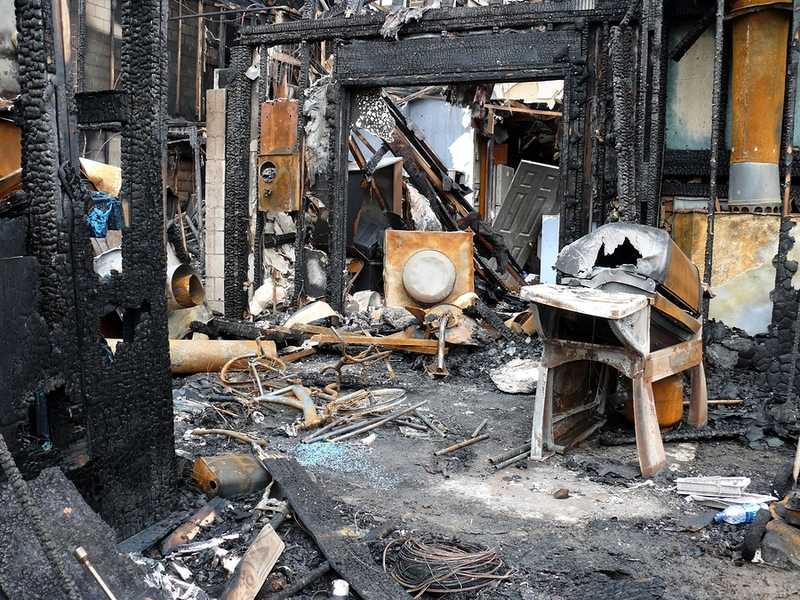 We offer fire damage restoration for the Colorado Springs and Leadville areas. Call us at 719-301-3737 for 24/7 emergency service. Copyright © 2019 KW Construction & Restoration | All rights reserved. All content and graphics on this web site are the property of KW Construction & Restoration.